2018-2-14 : We are considering using the HACH DR900 device as the core sampling hardware. Multi parameter handheld water testing with over 90 colorimetric parameters for use in the most demanding field environments. 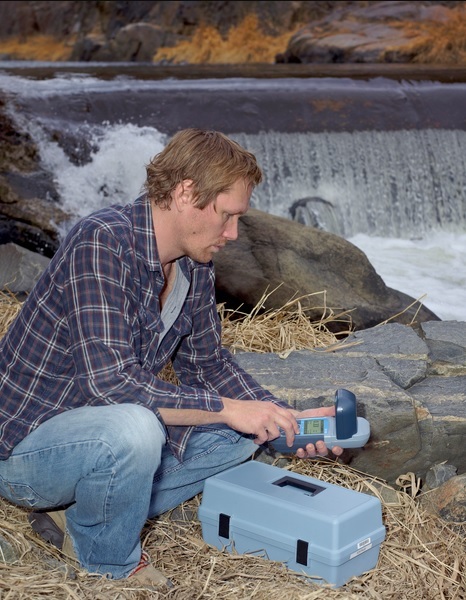 The DR900 is a fantastic choice when it comes to field testing multiple parameters. Our customers love the ease of use of our handheld colorimeter. It is portable, rugged and time tested. Simplify your testing in the field by using the DR900. Portability – The portable colorimeter allows for quick and easy access to your most frequently used testing methods in less than four clicks. The portable colorimeter also helps satisfying core testing needs by offering at least 90 of the most common testing parameters. Easy to use – This instrument comes with an intuitive user interface, data storage for up to 500 tests and a built-in USB port for the easy transfer of information. Ruggedness – This colorimeter is waterproof, dustproof, shock resistant, and has been drop tested for greater quality assurance. Combining all these features with a push button backlit display for use in low light areas, you have a portable colorimeter which is field-ready, and makes testing in harsh field environments a little less challenging.